When I was asked to participate in the Anne of Green Gables blog hop, I was thrilled. I love Anne and her optimism and strength. 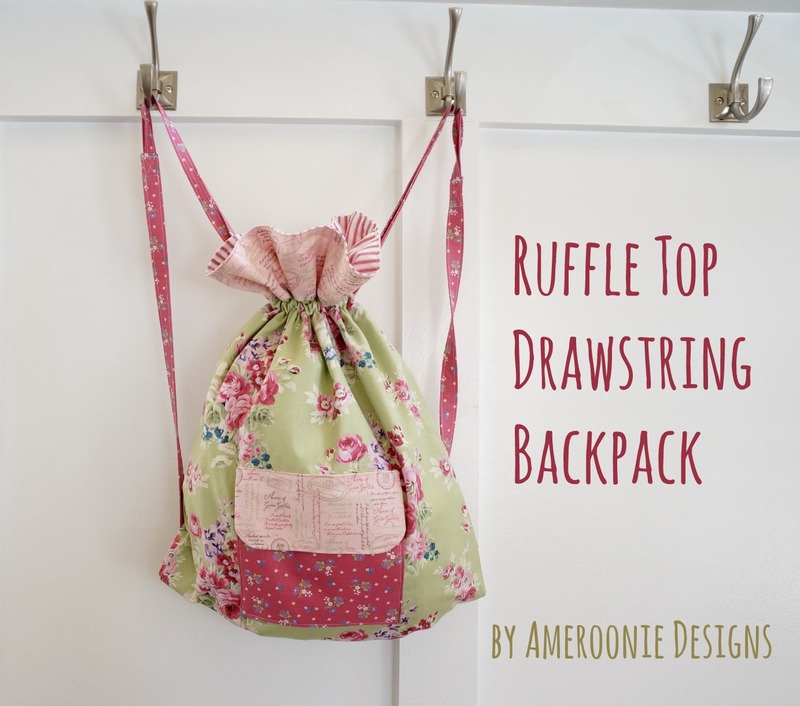 This ruffle top drawstring bag is a simple project to sew and a great way to use these beautiful fabrics. 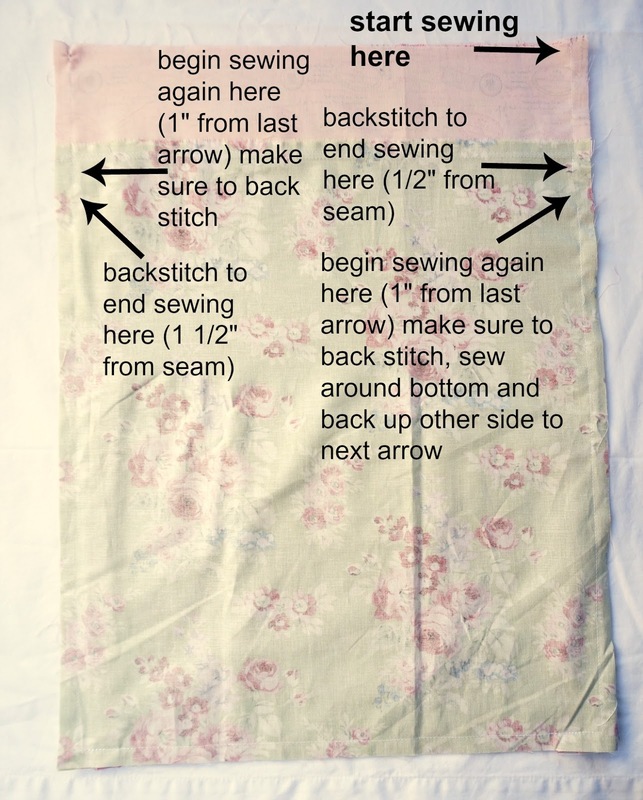 *note: all seams are 1/2" unless otherwise indicated. Sew accent pieces to top of main body pieces. Press the seam toward the accent piece. Top stitch the seam on the accent piece. Take the 3" X 18" strap anchor pieces and fold one short end down 1/4"
place second exterior piece of backpack face down, lining up the seams where the accent pieces are attached. Turn bag exterior right side out and press seams. Turn bag right side out through the opening in the bottom of the bag lining. Sew opening in lining shut. 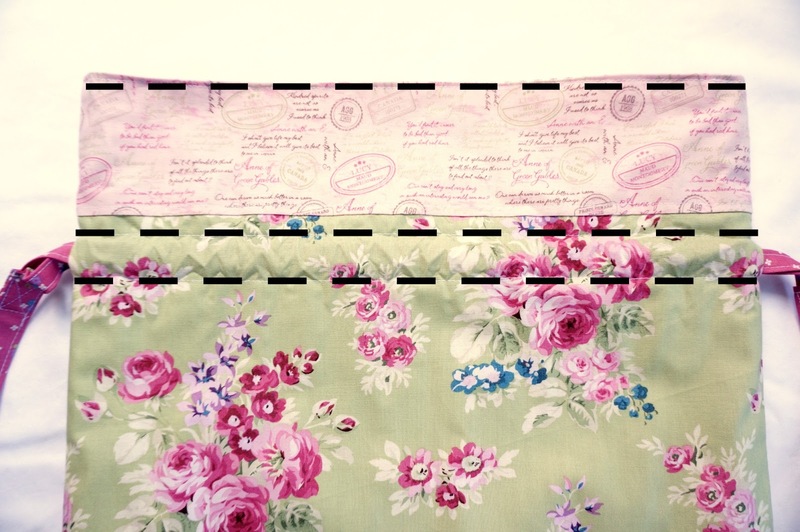 Push the lining of the bag inside the exterior of the bag and press the top seam. 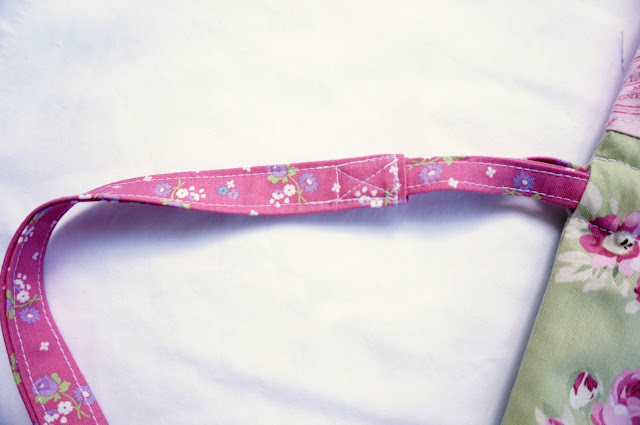 Sew the channel for the drawstring- sew around the bag lining your stitches up with the top of the opening you left on the exterior of the bag (1/2" from the seam of the accent piece) use a piece of tape to keep this line straight around the whole bag. 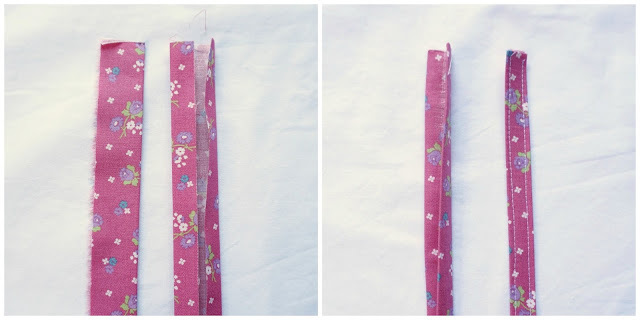 take the small drawstrings and pull them through the channel using a safety pin. One will start and end on one side of the bag, and the second will start and end on the other side of the bag. You can embellish this bag with buttons or lace, but I chose to leave it plain for now. Each of my daughters have asked me for one of these bags (even the teenager) so I'm going to call this one a win! I hope you enjoy it as much as we have. Great bag! I'll be making one of these! Can you please post a link to the Anne of Green Gables Blog Hop? I'd love to check it out.